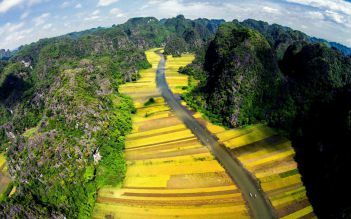 A combination of a group tour to Bai Dinh - Trang An (Ninh Binh) and an exciting trip to Mai Chau offers tourists an enjoyable experience. 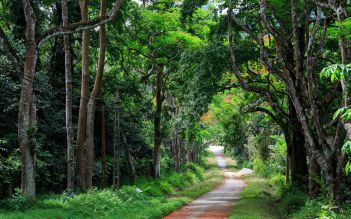 With our combo, you will have chance to visit Buddha Prayer place in Bai Dinh Pagoda, the biggest pagoda in Vietnam, see farmers working in fields, locals weaving scarves, bike and visit surrounding peaceful villages in Mai Chau. 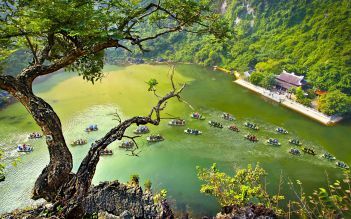 07.45 - 08.15: Pick up at your hotels in Hanoi old quarters, depart for Ninh Binh province (120 Kms). 10.30: Arrive in Buddha Prayer place in Bai Dinh Pagoda, the biggest pagoda in Vietnam with 500 La Han statues, biggest bronze Buddha statue in Vietnam with 10 meters in height, 100 tons in weight. Have lunch in local restaurant with some local special dishes such as Goat meat with elderberry, pork storage vessel. 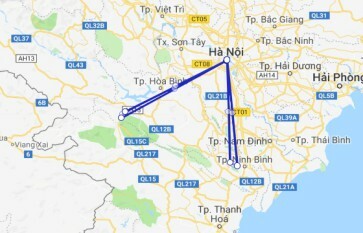 13.00 Depart to visit Trang An tourist attraction, take boat trip to visit cave complex: Sang Cave, Toi Cave, Ba Giot Cave, Nau Ruou in mystery and wildness, see scenery of mountain and rivers of Ninh Binh. 16.00: Getting on the car for returning to Hanoi. 20h30: Complement your experience by sampling delicacies from the local region during dinner time and enjoy the performance by local troupe of ethnic minority Muong and Thai people. 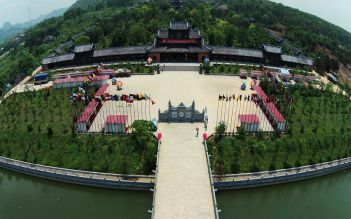 It is so relaxing to watch the exotic dances featuring the flower, land-scape and daily agriculture cultivating activities and sweet dating songs in the fresh mountain air. 19h00: A fabulous dinner will be served. 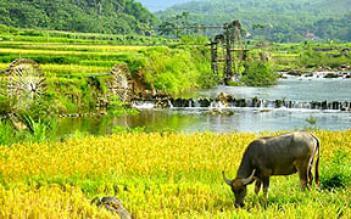 We did package tour from Hanoi to Mai Chau & Ninh Binh and had amazing experience. After very good hiking & homestay in Mai Chau, we had a very good boat trip in Trang An as well. Scenery was very gorgeous & beautiful, tunnel was amazing!